These women's crew socks are the cat's meow! This pair of crew socks for women feature a fun allover musical cat graphic pattern against a muted blue background, plus grey trim. 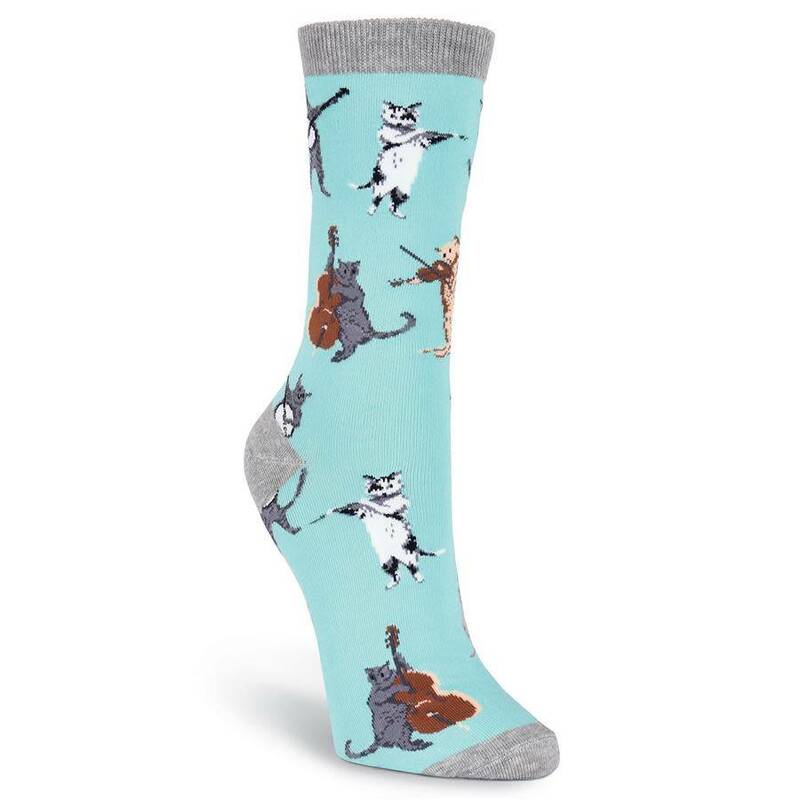 Made from a soft blend, they're the perfect fashion socks for cat and music lovers.